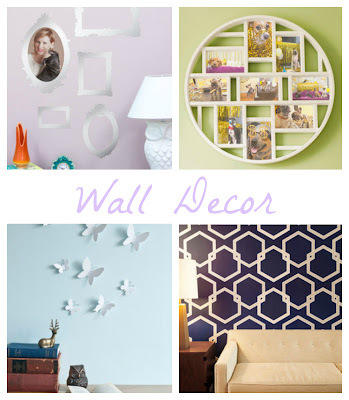 Lush Fab Glam Inspired Lifestyle For The Modern Woman: Fabulous Dorm Room Decor. Whew, we are halfway through August already and for many of you this means a little less than 2 weeks is left till you head back to campus and survive another year in the tiny uninspiring space that you will call home for the next school year. Wall Decor: Transform your room with fabulous with beautiful wall decals, temporary wall papers and artistic photo frames like the ones shown below. Sweet Dreams: After a long day of classes and studying, leave your stress at the door and come home to a beautiful, inviting dorm room with soft lighting., Fall asleep on your sweet dreams pillow with the reminder of bed time lullabies and dancing figurines and wake up in your Wonder Woman duvet, energized and ready to take on the day. 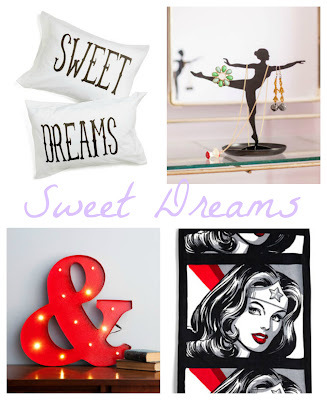 Shop for Lighting and Bedding. 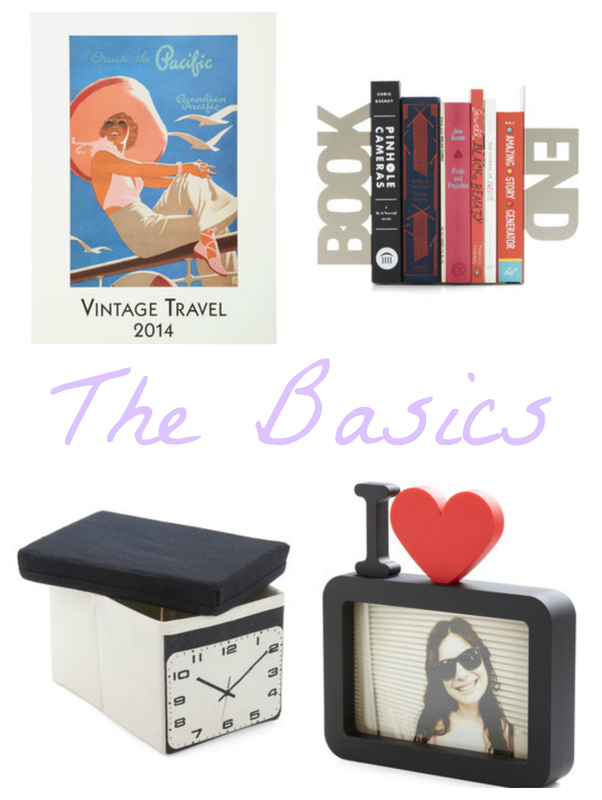 The Basics: Jazz up your dorm room basics like your book holders, calendars, storage containers and more by getting them in super cute and unique designs. Shop for Organizers, Storage and Decorative Accessories. 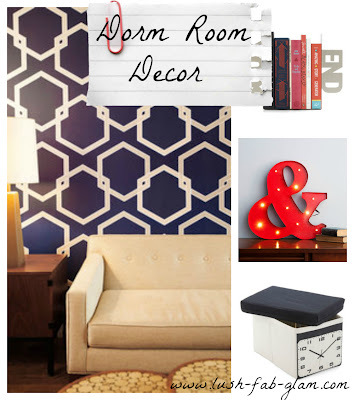 The featured decor pieces and many more are available online at Modcloth's new Apartment home decor section. Head on over to shop your favorites before they sell out. 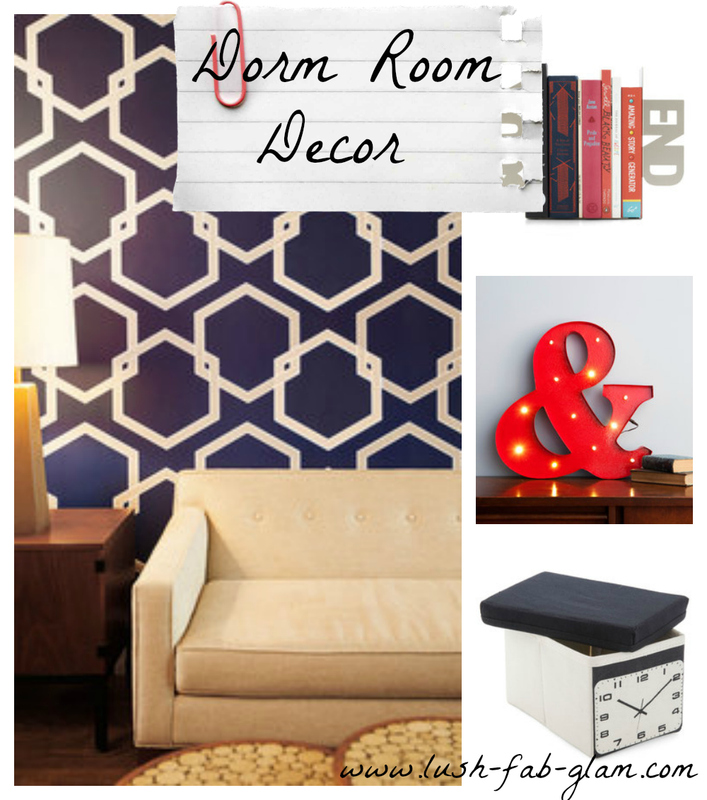 Which dorm room decor pieces do you love? Leave a comment below.